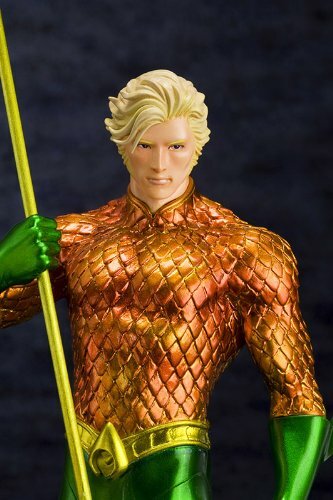 A KOTOBUKIYA Japanese import. 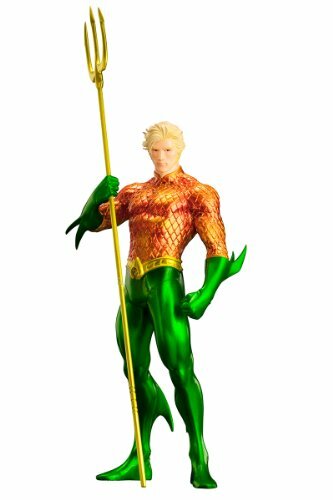 A former ruler of Atlantis who seeks to defend the world both above and below the waves, Arthur Curry is a powerful warrior and leader. 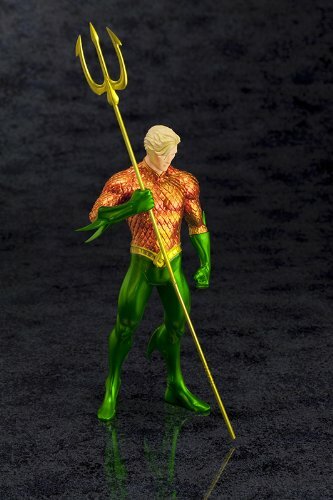 Joining the previously released Superman, Green Lantern, Flash and Wonder Woman is the half-Atlantean AQUAMAN. 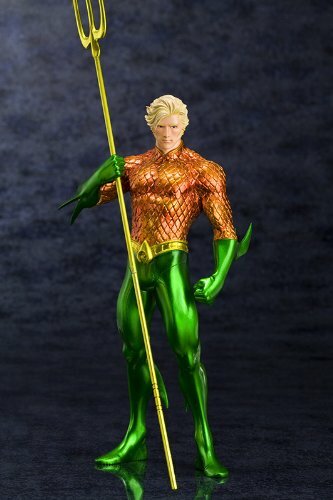 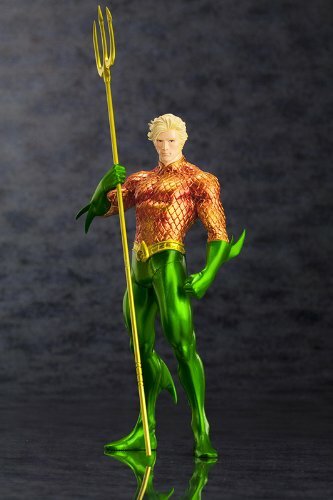 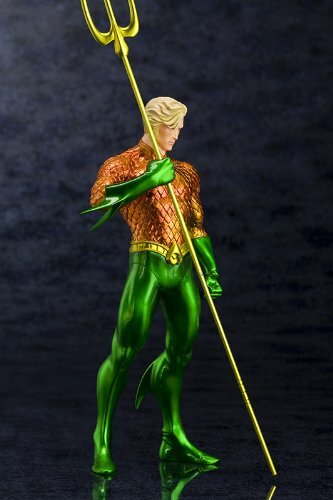 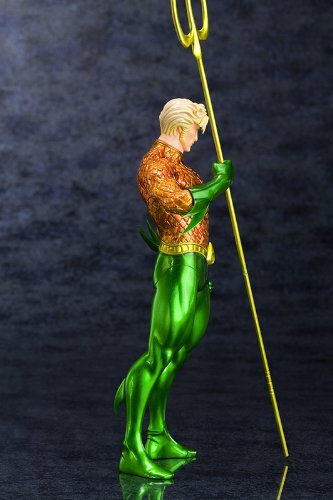 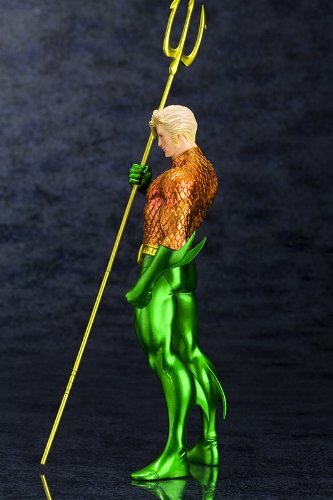 Like the other Justice League members Aquaman has magnets in his feet for perfect stability on the included display base and he'll appear great displayed on your shelf by himself or alongside his teammates. 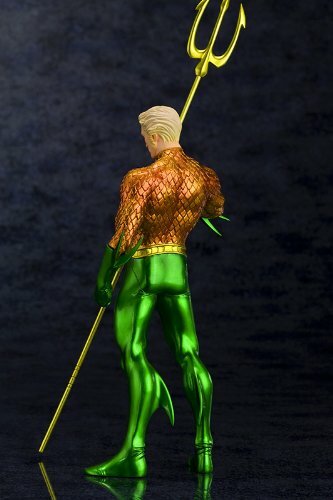 Aquaman's iconic costume is captured with every fine detail from the intricate overlapping scales of his metallic orange armor to the creases and pointed fins on his green pants and gloves. 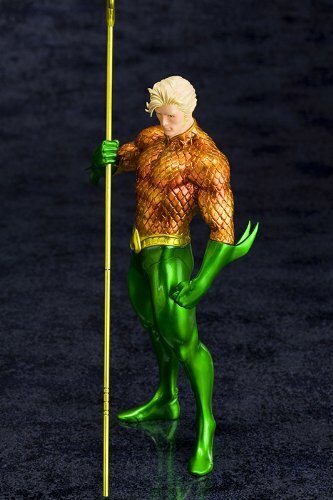 The muscular aquatic hero holds his mighty trident in his correct hand, calmly staring down the threats arrayed before him from under his wavy blonde hair. 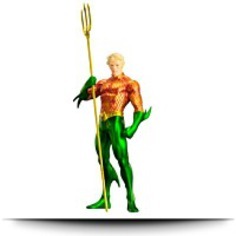 Even though it has been revealed that he has had earlier adventures with other teams, Aquaman's initial major public appearance inside the relaunched New 52 continuity was inside the pages of Justice League, joining the other heroes against Darkseid and his forces. 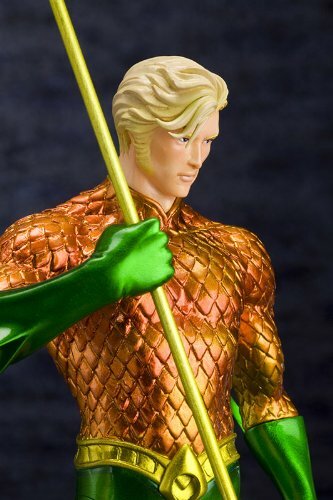 Arthur appears right here inside the ARTFX+ lineup with a fantastic representation of those heroic ideals, standing with all in the quiet grace of an otherworldly ruler. 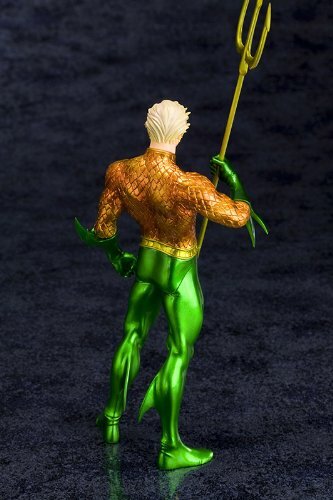 Standing nearly 8 Inch tall (inside the ARTFX+ 1/10th scale) , Aquaman was sculpted by master artist Goutaro Takeuchi (Atelier Bamboo ). 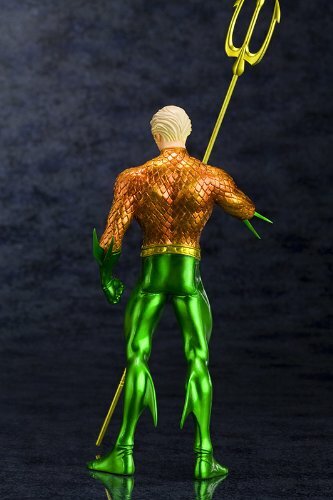 The present incarnation of Aquaman tends to make the character bigger than life, with strength, intelligence and powers that make him a valued member of the Justice League. 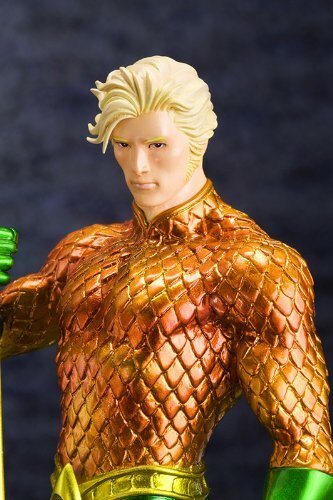 Kotobukiya's line of DC Comics"New 52"ARTFX+ Statues continues, capturing the new looks and costumes of heroes in the Justice League. 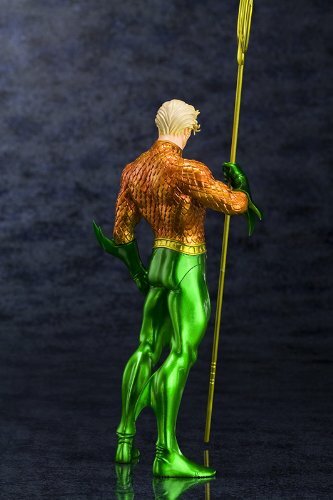 Only two much more Leaguers left to go.